HomeMed-Tech InsightsCan Social Franchising solve Primary Healthcare Problems in Rural India? Can Social Franchising solve Primary Healthcare Problems in Rural India? Faced with the dual challenge of rising communicable diseases and soaring non-communicable diseases, India needs a more efficient primary care structure. With shortage of healthcare workers and physicians, the public sector continues to be inadequately resourced to deliver care. 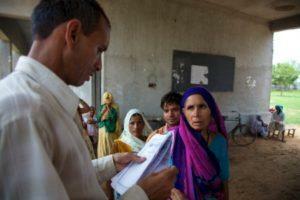 A two-decade old concept of Social Franchising may have the solution to the issues facing primary healthcare in India. Social franchising is a healthcare delivery model where networks of private health providers use commercial franchising methods to achieve social (and occasionally financial) goals. Private providers are integrated into contractually obligated networks and subsequently trained and supported to provide healthcare services. In such networks, the outlets are operator owned while payments to the outlets are based on services provided. Fundamentally, social franchising focuses on key five objectives: cost effectiveness, equity, health impact, quality, and health market expansion. Why is it needed in India? A majority of households in India seek healthcare from private providers who are local residents providing basic care to the patients. Being highly fragmented and unregulated, the quality of care varies tremendously. In addition, price sensitivity in rural areas and the contradictory need for providers to generate profits makes them a misfit in the entire healthcare delivery model. Vietnam: Known as “Tinh chi em” (meaning sisterhood), it is the country’s first public-run social franchise targeting the low income population. About 50% of the funding is through insurance while 40% is accounted for by government reimbursement. The remaining 10% is contributed by out of pocket expenses. The primary areas covered include reproductive and women’s health, obs/gyn care, family planning, sexually transmitted disease testing, breast and cervical cancer screening etc. The franchise model generated a self sustaining impact while providing voucher schemes for transportation; monthly allowances for brand ambassadors selected from the community and through referrals-based incentives. Tinh chi em was successful in improving training on cervical cancer screening, emergency preparedness, and overall quality in care delivery. Kenya and Rwanda: Child and family wellness shops by The Health Store Foundation have created significant health outcomes especially for communicable diseases. This social franchise is aimed at serving low income patients, children, youth as well as HIV infected patients. The funding is 100% out of pocket in Kenya while in Rwanda, community based health insurance schemes are the predominant forms of financing. The Health Store Foundation has developed a network of franchised medical clinics and drug shops across 71 locations serving approximately 33,000 people per month in Kenya and Rwanda. These clinics are typically owned and managed by nurses and drug shops are owned by community health workers. The franchise serves over 40,000 people in Kenya each year and has made significant contribution to testing of malaria; TB referrals; ante-natal counseling; HIV testing etc. Well-Family Midwife Clinic in Philippines: Established in 1997, it is a network of franchised clinics providing family planning, maternal and child health services such as counseling, pregnancy tests, minor gynecological services (e.g. – pap smear), basic health services of a midwife such as normal spontaneous delivery, pre- and post-natal care, and immunization services essentially to the segment of the population who are able to pay in key urban areas and selected municipalities. Smiling Sun Franchising Program in Bangladesh: Comprising of a network of 27 national NGOs that own 325 clinics, 9,100 satellite sites and 6,000 community service providers; Smiling Sun is the largest private healthcare network in Bangladesh. It serves over 20Mn customers each year while providing cost effective primary care, maternal and child care as well as dispensing essential drugs and diagnostic lab services. In India, there is a long way to go for social franchising. However, the results achieved by the limited number of such initiatives are commendable. In Bihar, Jharkhand and UP, DKT International’s program Janani has been operating a social franchising network – Surya. It provides products and services including condoms, oral contraceptives, IUDs and sterilization services through franchised and DKT clinics as well as through rural practitioners. They do not charge for sterilization and have conducted over 50,000 sterilizations through 136 clinics. An example of a similar social franchising initiative in rural India is that of World Health Partners (WHP) who have created a network of 116 telemedicine centers to link about 1293 villages. It utilizes these telemedicine networks to connect existing informal practitioners in rural areas to qualified doctors at virtual central medical facilities. This initiative has resulted in provision of 797,538 couple years protection (CYP) in UP between 2011 to 2014. The rural practitioners have also been able to provide basic diagnosis and consultation by relaying blood pressure, temperature, heart rate, respiratory rate, and EKGs to the central facilities. Given the shortage of healthcare professionals and the wide income disparity, social franchising could potentially change the dynamics of primary care in India. The key would lie in implementing for-profit business models that successfully integrates the existing rural health structure while disseminating cost-effective and standardized healthcare practices.